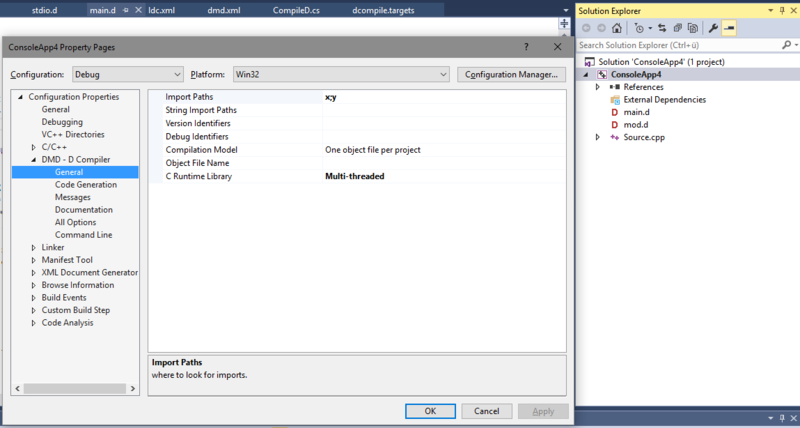 With Visual D 0.44 integration with Visual C/C++ projects has been added. This means that you can just add your D files into any C/C++ project and it will be compiled and linked with everything else in the project. 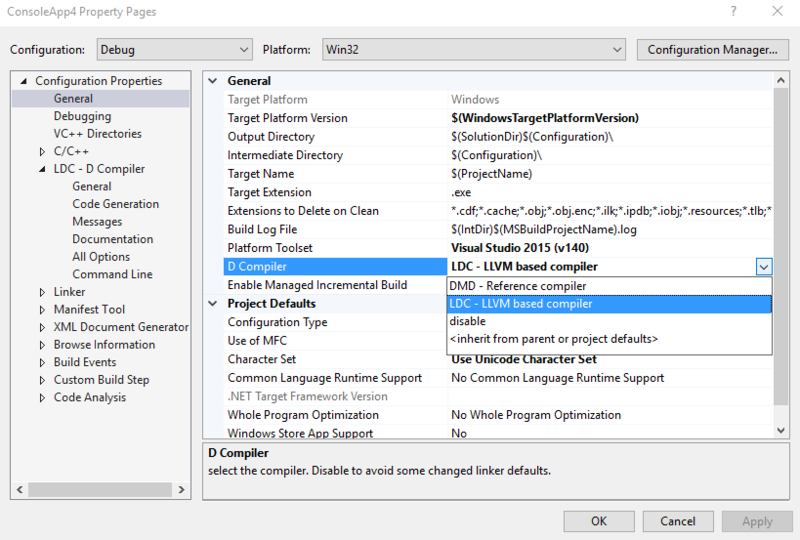 The General Page allows to select between DMD and LDC as the D compiler to be used by the current configuration. Only COFF files are generated, there is no support for OMF files that DMD generates for Win32 by default. The D project templates include a console application template based on a VC project, but just containing a D file.